Usually, Desktop Racks come in Open Frame or Enclosed styles. The Open Frame Desktop Rack is a practical, useful, racking solution, but it’s not ideal for keeping your equipment from being tampered with. Add panels to the top, bottom and sides as a deterrent. It’s generally less difficult to install equipment with an Open Frame Desktop Rack. Cable management is also easier than with an enclosed cabinet. Plus, the flow of air is not a concern. What height is best for me? Desktop Racks come in several sizes and may be used with a number of appliances. 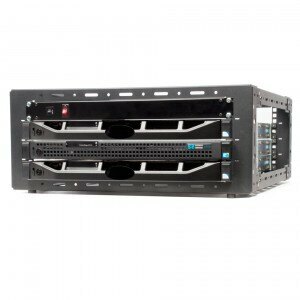 Open Frame, Desktop Server Racks are put together with height and depth frames. For example, heights may range from 4U to 9U. When choosing the height, you decide how much RU space is needed. An “RU space” equals 1.75″. Therefore, a 4U Desktop Rack has 7″ of space in front. What depth should I choose? Before choosing a Desktop Rack depth, measure your equipment to ensure it will fit in the rack. You may also want to leave at least 3 inches in the rear for cabling. If not, your cables may extend past the rear of the rack frame posts. Also, if you plan to add equipment to the rack later on, you may want to account for it ahead of time so you’ll have room when the time comes. 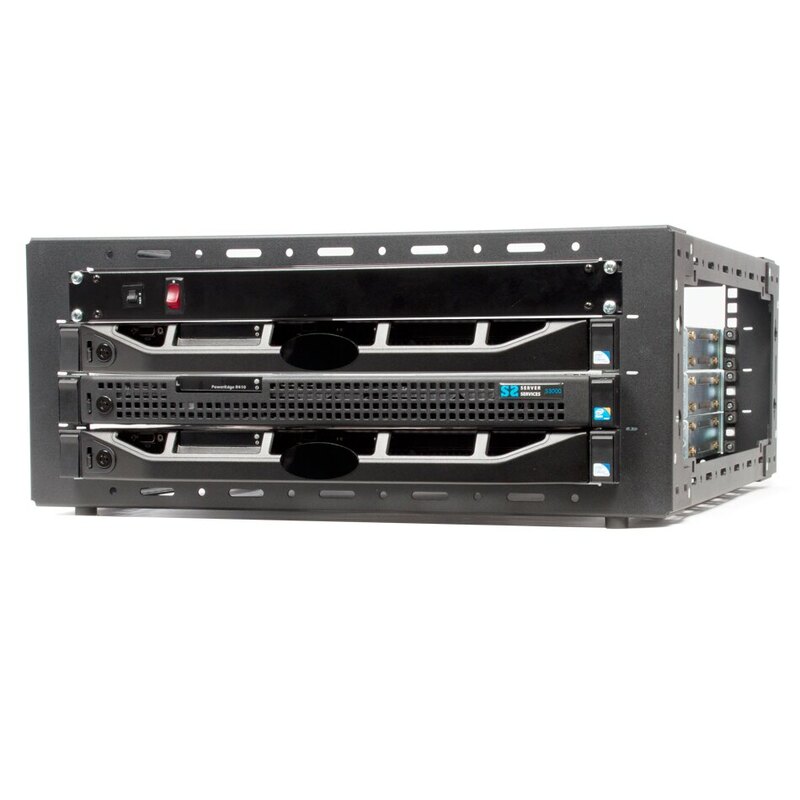 Most servers today are designed to mount to rack posts approximately 29″ deep. Note: The Desktop Rack shown below has additional U space on the top that may be used for equipment such as patch panels or power strips. See Open Frame, Desktop Racks for sale online. Where can I put a Desktop Rack? The best thing about the Desktop Rack is that it takes up less space than traditional, 4Post racks and stays out of your way. Position it on a desktop, tabletop, counter top or any flat surface (including the floor) that will support the weight of your equipment. The size rack you select, and the equipment you choose to mount will determine the weight of the rack. You should go over the installation manual before buying a Desktop Rack to ensure it aligns with your plans for use. Normally, Desktop Racks ship with all the required hardware for assembly, but I suggest you review the product documentation to be certain. What kind of equipment can I put in a Desktop Rack? Desktop Racks are primarily used for servers, but switches, patch panels and power strips may also be mounted in a Desktop Rack. This entry was posted on Tuesday, January 11th, 2011 at 12:13 pm	and is filed under Desktop Racks, Racks. You can follow any responses to this entry through the RSS 2.0 feed. You can leave a response, or trackback from your own site.